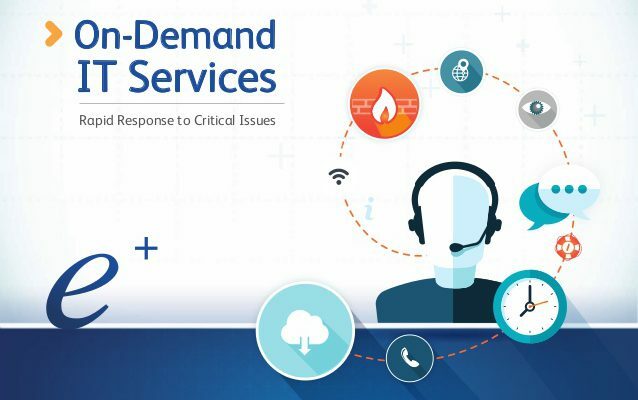 The IT On Demand service is one we offer to our client which has no commitment nor contract or limitation. This is like charge per usage program and we charge per project completion or on hourly basis. For this client can call us only when our service is need. For clients requiring ad-hoc support, short term assistance or specialized expertise with a project, SYS IT can assist. We offer a variety of qualified resources and engagement options to suit a client’s needs and budget. Our skills cover the full spectrum of infrastructure levels, products and vendors, including Server & Storage, Network & Security, Communications, Software/Application and Endpoint. Assessment: When you contact SYS IT for support a knowledgeable representative will carefully listen to your issue, log the issue in our system and will assign a dedicated technician to get your problem resolve. Troubleshooting: A dedicated SYS IT technician will contact you and start working to get your issue resolve. The technician will work on the issue until everything is working correctly to your satisfaction. During the troubleshooting process every step that will be record. Resolution: After the issue has been resolved to clients with full satisfaction, an invoice will be sent out for the work done or the agreed upon project amount. The invoice will contain the full statement of all the work that was complete and every step taken. Reliable expertise — Faster, trusted services with easy access to engineers. SYS IT can help you to resolve variety of technology related issues starting from fixing a computer issue to full infrastructure migration. Contact us to find out how we can help your business.